Discussion in 'Pokémon Role Play Discussion' started by snetonobre, Nov 24, 2010. Well, this is a little idea I came up with, though I know I won't be able to start for some time, as it takes place in Unova(Isshu). It's like that: a group of gangsters and alike made a pseudo-city inside the High Link Forest, with trailers, tents and alikes. The reason, is because of the Dream Balls. Dream Balls are mysteryous Poké Balls that simple appear in the bags or pockets of whoever is inside the High Link Forest. Dream Balls have the incredible ability to catch pokémons that were previously captured, as long as that pokémon is in a bad state. This way, the gangster community created a special rule to battles, whereas the pokémon of the loser is caught in one of these mysteryous Poké Balls. It can be really intriguing and exciting, don't you think? This way the battle will have an additional thrill. EDIT: So far there's still a lot of things to discuss. Apart from what's in this post, nothing is 100% decided. And I know I said I would post information about my character, but I changed my mind, he'll be a secret until the rp starts. Not sure that I like the whole "Gangsters" or "Loser gets his pokemon snagged" thing. But if I could get my PRP character in as a trainer whose just roaming through the forest and comes upon this pseudo-city, I'd be happy to partake in this fiasco. "It's Team Snagem, but in Unova!" Seriously though, I am not seeing much of a point to this... For starters, you appear to be combining the Dream World with the Real World, which doesn't really work. In the Real World, the only Poke ball with 100% Catch Ratio is the Master Ball. Likewise, the only Poke ball capable of catching an owned Pokemon is the Snag Ball, which is a normal Poke ball that has been processed with the Snag Machine, then thrown at a weakened Pokemon. The way you write the Dream Balls, they are basically Master Snag Balls, with the Master Ball rarity and the necessary Snag Machine tampering taken out, and therefore a bit of a Game Breaker. Also, I fail to see much of a plot at this time. Perhaps that is because you were taken off before you could tell us one? The idea seems more annoying then intriguing and exciting, mainly because RPers work hard to make their teams as they are, and wouldn't like something like this coming out of nowhere and destroying all that. Likewise, there is no additional thrill, just anger at losing what you have worked so hard to create. And because of the Game Breaker status of these Dream Balls, it is quite possible that an RPer would abuse them, and steal Pokemon with glee, not even following the rules this "gangster community" has set up. Plus, it's only November. The games don't even have a set release date beyond "Spring 2011", March or April at the earliest. I don't think many RPers are going to want to wait that long for everything to be released, not to mention the fact that certain names will be changed between translations, and therefore not all the information we have now will stay relevant. Come to think of it, I agree with Rex. I'd be happy to join the PRP, and I'm patient enough to wait, but having a gamebreaker such as the Dream balls is kind of deturring. If you take those out and set up a new plot, I'd be elated to join, simply because I like the idea of a pseudo-city in the middle of the forest. But if you can't get around those major plot holes, I doubt you'd get many more RPers besides nooby-little-me, who the last RP he was in got abondoned because of plot holes. Rex kinda said this, but I think it's far too early to be planning out this thread. As is usual around this period of change in the Pokemon world, our PRP rule of no new Pokemon is now in effect once again. Quite simply, until the games are out in English, Generation V Pokemon are not to be used, and Isshu is not to be traversed. 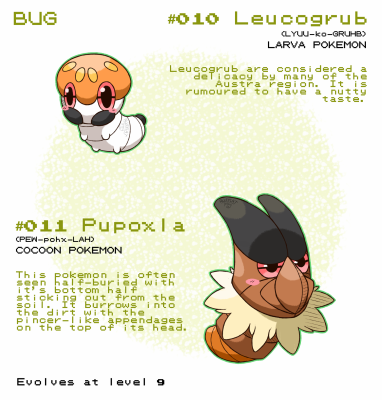 Exceptions could be made for Pokemon that receive English names and details prior to the English release, but move and ability names will change between their Japanese translations and their official English use, so those would have to remain out of play still. It's not exactly as if the forum is roaring with life, so this rule is probably not really going to need moderating - but it's a rule that's been going on since before Gen III, so it only makes sense to keep it going now. Rex, I know this is a mix between Dream World and Reigh Link Forest is in the games. But there's no Trainer in the game. The High Link Forest is the perfect place to at least start the Role Play not only because it's the only place where empty Dream Balls exist (they appear in you bag when you enter the forest, they disappear when you get out of it), but also because, since the pokémon that appear here are the ones from the Dream World, pokémon from any region can appear. About Dream Balls, yeah, they are too powerful, but that's how it is in Black and White, the article about pokéballs on Bulbapedia even says so. But since imagination is priority on Role Playing, I think we should do them less powerful so that they can only catch pokémon in a really bad state. About a plot, I still have no idea, but I think I have plenty of time to think about one. And it would be easier to create a plot if I had knowledge about the characters. I personally really like iFlare being someone that was wandering the forest, found the pseudo-city by accident and then got involved in it, while since from the start I imagined my character as a badass, a very arrogant person, someone that considers himself the king of pokémon battles. We already have two characters, perfect! But the more the merrier! And, yeah, it will take too long, but then I'll be ready from the start the moment Gen V is allowed ;D. And I was too excited about the idea to wait to do it. Now, well, maybe losing a pokémon may be bad (correction: it sure is bad) but the previous owner can try to win it again in a rematch,may trade it with another pokémon of his, or two people may agree in battling without the rule of losing the pokémon with the loss of the battle, as the rule is not mandatory. Thats great. We have a few months before we can start doing this, so lets talk plot. If we can use this time wisely to come up with an initial story, and then maybe tweak it a bit to cover the plot holes, we could actually make quite a successful RP out of this. So do you have any ideas about the storyline? Maybe a little in-depth history about the Pseudo-City and the gang who built it, maybe it could have started as an outpost for team snagem thats outside of the Orre region, don't you just love it when a region's gang goes off to try to take over another region? But maybe now it's just a pseudo-city. You know, a market here, some homes there, a mayor, maybe some travelling trainers whove stopped here to rest. What do you think? Well, yeah, your ideas are great. But Role Playing is only limited by imagination: this mean there's no limit ;D! The story could have something to do with a legendary pokémon from any region since pokémons from dreams appear in High Link Forest, meaning any pokémon can exist there, even legendaries, even from other region, even shiny legendaries from other regions; or maybe a evil team (possible Team Snagem, but they aren't so cool as teams from handheld games) trying to create a machine to make Dream Balls capable of existing outside High Link Forest, or maybe both, the legendaries and evil team. But right now I won't be able to use the computer for the rest of the weekend, so see you monday. Your Ideas are pretty good, the sky isn't even the limit here, it doesnt have to be an evil team from the other regions, it could be an evil team we made up ourselves! Also I think we'd have to make sure that having a legendary in this RP is okay, but then, what Legendary should it be? I'm partial to shiny Rayquayza. "Sky" and "Rayquaza" in the same topic. This can't be coincidence ;D. Really, do you think Rayquaza? Yeah, Shiny Rayquaza is super cool, but Rayquaza normally only descends from the sky when to stop something that would cause great harm to earth, like the battle between Groudon and Kyogre. The legendaries don't need to be shiny though, we just need to make it clear that it's not the true one. I was thinking about Arceus. Which evil team wouldn't like to have Arceus in it's arsenal? We can make other legendaries appear also, if a Role Player wants that legendary to his team (to let it clear, of course it will take a looooooooooooooooooooooooooooooooooooooooooooooong time role playing to have any legendary). And I was also thinking about one of the high-ranked members of the evil team having a Shiny Mewtwo, with the move Psycho Break (move introduced in Gen. V to be Mewtwo signature move). In fact, maybe many legendaries may appear, with some of them being used by high-ranked members of this evil team. I'll edit the first post now. Remember you'd have to check with the moderators of the PRP threads to make sure that using any legendaries are ok. I know and I don't pretend to use them. But obviously, someone will want to use. But there's nothing wrong in having the villains, NPCs, controlling legendaries. I suppose. Any ideas for how the psuedo-town will be set up? More-or-less. But I can't think properly right now (logged a lot of sites right now and hearing music with headphones), so I'll talk 'bout it later. It's 23:51 where I am. I think the hour also doesn't help with my thinking. This sounds pretty fun and there is a lot of time to come up with a plot so I wouldn't mind joining it. I think the best bet is to make up a new evil gang because that would be a lot more fun and you could completely change what kind of Pokemon they use. I say, we have more a say in the type of pokemon the antagonist will use against the protagonists(We, the RPers) if we started a new evil team from scratch. This sounds like a good PRP! Count me in! You could call the evil team 'Team Fossil' and give them fossil Pokemon. And it's best if the evil team have no type specialty. This way they can simple use any powerful pokémon. Thats not half bad, I say the Boss of the team has fossil pokemon, though. As for now, any ideas on what the name of the team will be? Team Pendulum sounds pretty good and I think it will also be cool for the Boss to have fossil pokemon. No fossils: the leader will use powerful pokémon and that's all. I don't want to reprove y'r ideas, but we have to think into evething as a whole: thinking in the team without thinking on the other parts of the rp can't work. We already established that the plot have to do something to do with the high link, and possible the dream balls (otherwise why the evil team would concentrate itself entirely on High Link), and the only plot I can imagine for a evil team of fossil pokémon is to try to make the world return to the prehistory. And it doesn't makes sense for a executive have Mewtwo but the leader Archeos. I'm not saying y'r ideas aren't good: we/y' may even use it in another rp, and I guarantee it will be successful, but we have to think on the rp as a whole: the fact that the rp is so heavily based on the High Lik and the Dream Balls, implies that so will the team. Compare this to a patchwork couch: each patch must fit well, without obscuring the other. Y' must think of the next thing based on the ones previously though of, or else they won't fit and it will all be screwed. rock, let the rocks in peace! Team Dream or Team Link! I myself didn't liked too much, but I guess I can get used to it. To be honest I prefer Team Pendulum. I think we've been focusing on the name of the evil team to much, I'm partial to Pendulum, and to Nightmare aswell, but having a team called nightmare would imply that their plans should have something to do with Darkrai and/or Cresselia. Pendulum would Imply that they'd have something to do with Dialga. So perhaps one of those three could be the main purpose for the teams, or perhaps bringing in some R/S/E elements into this PRP, and use both teams, both at war with one-another. Just random ideas for you guys to think about, but I don't think they're horrible ones. Lovely how people forget that the possibilities are infinity. Y' forgot about Celebi. And have y' paid attention to what I said before? Nightmare comes from the Dream Balls. Lovely how people have such limited minds. Unless y' don't understand sarcasm. As before, y' guys aren't thinking as much as y' guys can (and should) think. "Pendulum is cool", y' guys may think, but as far as I remember nor the dream balls nor the High Link have anything to do with with time. The evil team may want Dialga, Celebi, Darkrai, Cresselia, but in a place where any pokémon can exist, it doesn't makes sense for they to focus on one specific pokémon. Guys, I already said a thousand times, think into everything as a whole. "But were thinking of every pokémon" y may say, but inside the High Link any pokémon can exist. Y' guys are considering all pokémon, but are thinking that only one will be here. On this place, we don't hve to be limited to one or two legendaries. I'll explode if I have to repeat "it doesn't make sense" again. Lovely how people forget that the possibilities are infinity. Y' forgot about Celebi. And have y' paid attention to what I said before? Nightmare comes from the Dream Balls. Lovely how people have such limited minds. Unless y' don't understand sarcasm. I understand sarcasm perfectly well, but there's no need to bash the other members in the thread because they have different ideas to you. And what is all this y' and y'r business? Did you get too lazy to type out "you" and "your? We at Pokecharms don't approve of chat speak - some of us are way too old and ugly to have to read that stuff. There is a way to write creatively without involving other people's ideas. It's called fiction, rather than roleplay. If you don't want to listen to other people's input, then switch to writing stories instead.